Adams Petroleum markets the industries top fuels including gasoline, diesel and quality heating oil with dependable service. All of our fuels are produced to meet the standards of ASTM and can be delivered to your business, factory or work site anywhere in or around the Pittsburgh region. If you are looking for a product not listed here, please do not hesitate to contact us. Adams Petroleum markets the industry's top fuels - with different gasoline grades for everyday use. We purchase petroleum products from major oil companies and independent refiners to enable us with quality products and supply. Our fuels are produced to meet the high standards of the American Society for Testing and Materials, or ASTM. They also comply with all regulatory standards defined by the U.S. Environmental Protection Agency, the Internal Revenue Service and the Commonwealth of Pennsylvania. 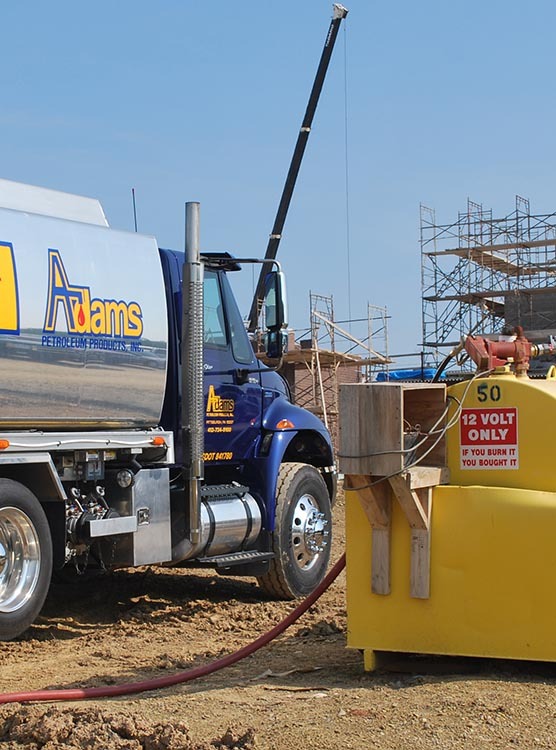 Adams Petroleum delivers these world class products with Knowledgeable staff, on-time delivery and competitive pricing.